I’ve waited for 2.5 weeks until I was able to go see Interstellar since good seats have been sold out the moment they release ticket purchases online. Going into the movie, my expectations were very high already, not only because of the big name Director and Actor/Actresses involved, but more importantly because of my passion for astronomy as a kid. Comments from people who have watched the movie already had a good amount that was about the complex of the physics behind the scenes, which made me even more excited to see theories and phenomenon’s I’ve read about to be shot in big screen. If you don’t want to spoil the movie, then please go watch it now, and then read the rest. “It blew my mind” is an understatement for this remarkable film. It makes Gravity seem dull, even though that movie has received very good reviews. 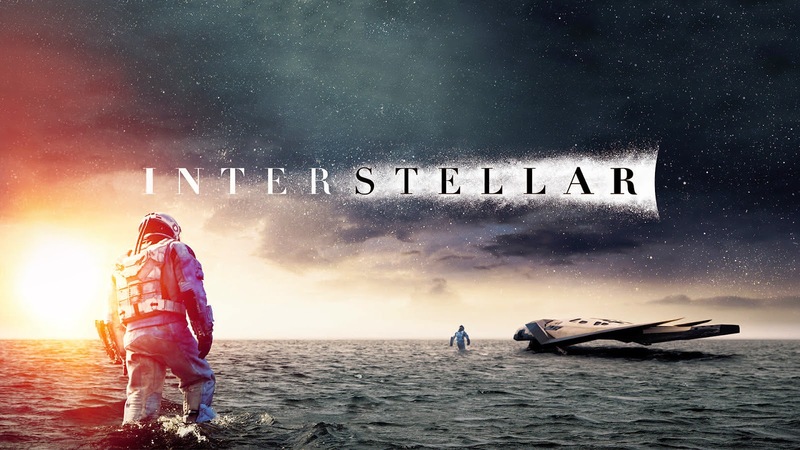 But Interstellar is layer upon layer of art. It’s not only a movie about outer space exploration; that is just a backdrop. It’s a movie about human nature, about an emotional journey when one travels into space. A lot of times, science-fiction movies can fly off the rails with over-the-top dramatic scenes that it’s far beyond our imagination (but I still appreciate), for example Elysium or Edge of Tomorrow. But Interstellar keeps it just realistic enough, that you feel as if today, in real life, this could happen. And yes, the movie was pretty long. I’ve even heard some people comment that the beginning of the movie was boring and too slow. And I have to highlight this again, this is not just a movie about space (so if you’re expecting something like Startrek or Guardians of the Galaxy type of movie, this isn’t for you) it’s a movie about human emotions. Ever minute of this movie is critical to the plot and the build up, and in fact the beginning of the movie sets the stage for some of the phenomenon that happens and will be explained later on in the movie. Without a doubt, the scientific portion of the movie was impeccable. Every scene excites me and I’m constantly on the edge of my seat, from the majestic rings of Saturn, to looking at/traveling through the worm whole, docking the space shuttle with the spinning ring at 68rpm, and finally dropping into the black whole. To me, the science behind it all made perfect sense, and I knew which ones were possible and which ones weren’t. But it’s seeing it put onto big screen that amazes me, and perhaps only Christopher Nolan would be able to do that job. On the other hand, the psychological element of the film is incomparable. I don’t think there are many films out there that portray the emotions of a someone traveling in outer space as good as this film. 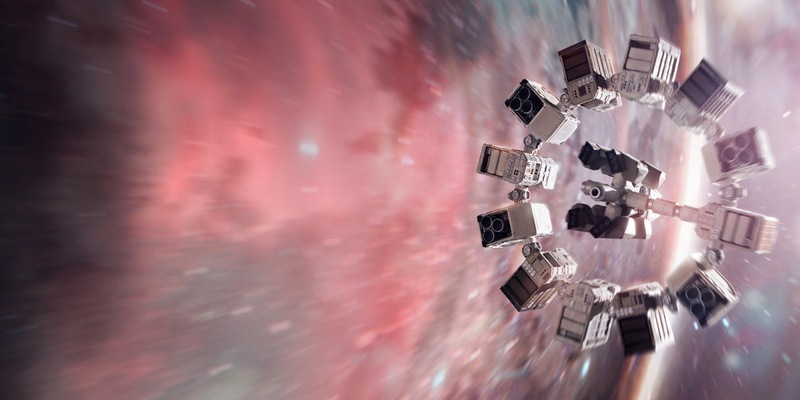 I’ve never personally traveled to space, so I can’t be the judge of how spot on it is, but I would say the way it’s been shot in Interstellar is very detailed and I can definitely imagine it to be realistic. People don’t realize how lonely it is out there when most of space is occupied by emptiness. Some of my favorite scenes in the movie include when Cooper hands Romilly headphones playing the sounds of a rainstorm in a forest, when Mann talks about his selfish choices and human survival instinct, and the interaction between Cooper and his daughter throughout the entire movie. Despite the heavy theme of things, I’m glad they threw in the humorous robots to lighten up the mood. I also want to point out the scene where Cooper meets his daughter’s teacher to talk about a fight she’s had. The story is that the textbook used by the school at that point of time in the movie claims that humans never made it to the moon because it was a propaganda for the US to trick the Soviet Union to bankrupt themselves to explore space, in order to discourage space exploration, because crops are dying and there’s a shortage of food. Cooper’s daughter had brought in an old textbook of his, which states otherwise and got into a fight with her classmates about which one is true. Also, during that meeting, the principle and teacher also pointed out how Cooper’s son isn’t doing well in class and won’t be able to go to college, but will be an excellent farmer (back to shortage of food again). This really got me thinking, that’s exactly how a lot of people are like in real life. They believe in whatever information is given to them, and they don’t challenge anything. And when people throw new concepts at them, they deny it, and refuse to see things in an objective light and consider a possibility that they might be wrong. That’s probably the biggest hindrance of humans progressing as a race. People don’t know any better, and are reluctant to let go of what’s familiar and embrace the new and unknown. Personally, when people challenge my views, I do my research covering all aspects of a topic, and then decide what makes logical sense. No one is perfect, and none of us know everything. But at the same time, just because the majority of people believe in something doesn’t mean it’s necessarily the right thing. Back to the movie, will this film break box office records? I would really hope that the general audience understands the plot and science behind it to be able to enjoy this film, and not compare it to other sci-fi movies like Avatar or Avengers because it isn’t that type of film. I’m definitely excited to hear different people’s take and thoughts on the film, whether it’s about the scientific aspect or the emotional journey that the characters go through. Q1: How did it only take them 2 years to get to Saturn? Mankind has already sent unmanned spacecraft to Mars, which takes 150-300 days depending on Mars and Earth’s position. Mars at it’s closest is 55,000,000 km from Earth whereas Saturn is 1,200,000,000 km. The previous spacecraft that took the shortest amount of time was Voyager one which took 3 years and 2 months. But, since we also don’t really know what year it is in the film, perhaps technology has progressed enough so that we can travel faster to get to Saturn. Q2: Is it possible to dock to the ring module rotating at 68rpm? Not very likely, actually. Someone has actually analyzed this already and considered different variables in this situation. The timing would need to be impeccable, also at that high of speed, no error is tolerable. With 2 giant spinning objects of metal contacting at a surface of 2 aluminum rings, the dock could be destroyed easily and a pressure seal wouldn’t be possible. Also at the speed of the spin, (as calculated in the analysis) Cooper would be experience anywhere between a G-force of 5.2 – 10.4. A typical person can handle up to 5g before passing out and a trained pilot wearing a g-suit can handle up to 9g. Even if Cooper could handle the G-force, it’s remarkable he could pilot at the same time. To put into perspective, high-g rollercoasters are from 3.5-6.4g, Apollo 16 on reentry was 7.19g. Q3: How did Cooper survive and get out of the black hole? Black holes do exists, and nothing can escape a black hole once it’s sucked in. If you fall into a black whole, your body gets stretched apart as the gravity in the center is enormous. Once you reach the single point of singularity you’ll just be squashed into a single point of infinite density and become a part of the black hole. If Cooper did actually fall into the black hole he wouldn’t have survived. Some people online say that he wasn’t in the black hole, but instead he had been transported into the tesseract, a three-dimensional representation of a five-dimensional world, made by advanced future humans. After he was done transmitting his message to his daughter through gravity, he was dropped just outside of Saturn. But that wouldn’t make sense, because he needed information from the black whole to send to his daughter in order to solve the equation of gravity, so he must’ve went in the black whole. The only way of explaining this is that our current understanding of black holes is false, and there is an end to the black hole or a way to get out of the black hole, hence in the movie they keep saying “on the other side of the black whole”. All we know is that Cooper was sending data about the black hole to solve the gravity equation. We don't’ actually learn how they got such a big station of the face of earth. The ISS (International Space Station), was built by sending part by part into space and then putting it together. But to launch a giant station all in once piece is near impossible, unless that gravity equation solved the problem, which is what I’m so curious to know about.